According to existing Israeli law, and in line with Israeli Basic Law: Referendum that was passed on March 12, 2014, territories that are under Israeli sovereignty cannot be transferred to a foreign body unless the Knesset approves doing so with a majority of at least 80 Knesset members, that is, two-thirds of the MKs. Given the fact that, in the fall of 1967, Israel applied its sovereignty to the territory of united and expanded Jerusalem, Basic Law: Referendum pertains to Jerusalem as well. If the government has decided to ratify an agreement or sign an agreement, according to which the law, jurisdiction, and administrative authority of the State of Israel will no longer apply to a territory to which they apply, including an agreement that includes a commitment regarding the future and a commitment that is subject to conditions, whatever the agreement, after it has been approved in the Knesset by a majority of its members, it is subject to approval by a referendum, unless it has been approved by a majority of 80 Members of Knesset. If the government has decided, not in the form of an agreement, that the law, jurisdiction, and administrative authority of the State of Israel will no longer apply to a territory to which they apply, whatever the decision, after it has been approved in the Knesset by a majority of its members, it is subject to approval by a referendum, unless it has been approved by a majority of 80 Members of Knesset. No authority that is stipulated in the law of the State of Israel or of the Jerusalem Municipality may be transfered either permanently or for an allotted period of time to a foreign body, whether political, governmental or to any other similar type of foreign body. It follows, then, that Basic Law: Referendum, passed in 2014, even further limits the Knesset’s capacity to cede territories in Jerusalem since it mandates a two-thirds majority of its members for that purpose. At the same time, this law created a possibility of legislating a decision of this kind by the entire population of the state of Israel, Jews and Arabs alike, by a regular majority. There is no prohibition in international law on transferring a territory from a state to a state. Israeli law recognizes the authority of the Israeli government to relinquish sovereign territories. Currently there is no international recognition of Israel’s sovereignty over east Jerusalem. If territories in east Jerusalem are transferred to the Palestinian Authority or to a Palestinian state according to an agreement, this transfer will be recognized in international law. If Israel relinquishes a territory without an agreement, and particularly if it retains security responsibility in territories it has relinquished, it will continue to be responsible from an international standpoint for what occurs in that territory, in those areas where it has retained responsibility. The usual stipulation is that a person cannot be a permanent resident of two states, so that if the east Jerusalem residents remain in their homes, they will become residents of the Palestinian Authority or the Palestinian state. Compelling the east Jerusalem residents to relinquish the resident status they currently enjoy is problematic, and there are considerations on both sides of the issue. In the past it was acceptable, when a territory was transferred from one state to another, to revoke citizenship of the transferring state from the population, and without asking the opinion of the population in question. Today a change has occurred in international law, and the laws of human rights prohibit acting against the will of the population. Can citizenship be revoked against the will of the residents? When a populated territory is transferred from a state to a state, international law does not require states to give the population an option to choose the citizenship that it desires, even though it is desirable to provide such an option when the population has a special connection with one of the states. Providing an option with regard to residency: international law almost does not address the subject of residency in this context. Given that the residents of east Jerusalem are residents of Israel, they are entitled to move to any location in Israel, if they have chosen or choose to do so. International law does not explicitly address this situation, but if the right of Israeli residency is revoked against their will from east Jerusalem residents who have moved at any time to a different part of Israel, it would entail their physical expulsion from Israel. Such an action, directed solely at Arab permanent residents, would likely be viewed as “arbitrary” expulsion, an action that is prohibited by human rights law. Thus, it is clear that the east Jerusalem residents will have the option to move elsewhere in Israel and thereby retain their status as residents of Israel, or to remain in their place of residence and thereby lose their right to the status of residents of Israel. The difficulty in revoking permanent-resident status stems from the fact that this status affords an array of social and other rights in accordance with Israeli law. As permanent residents the residents of east Jerusalem are entitled to freedom of movement throughout the state of Israel, including the freedom to choose their place of residence within the boundaries of the state. In other words, assuming that the goal of a separation from the neighborhoods in east Jerusalem is based on a demographic rationale, one must take into account that a territorial separation from the neighborhoods themselves does not entail preventing the residents from moving into Israel, and the measure of revoking permanent-resident status is problematic because it entails a revocation of rights. In Israel, most legal rights are also extended to permanent residents, including rights anchored in Basic Laws such as the right to life, to bodily integrity, to dignity, to property, to freedom, to emigration from Israel, to privacy, and to freedom of occupation. Most of these rights are anchored in Basic Law: Human Dignity and Liberty and in Basic Law: Freedom of Occupation. A full revocation of the whole array of social services, stipends, the right to receive health services, and the revocation of other rights as a result of revoking permanent-resident status would substantiate a powerful claim of violation of the right to subsistence and dignity. It appears that relinquishing territories so as to maintain the Jewish majority in the country is consistent with the values of the country as a Jewish state. The objective of an act of separation from Arab neighborhoods in east Jerusalem would apparently be considered a proper objective that is concerned with ensuring the Jewish majority in the country. The difficult questions that will arise concern the proportionality of the violation, assuming that the east Jerusalem residents would be divested of their permanent residency and of the possibility of remaining within Israeli territory. A substantial violation of resident status entails a violation of rights that are extended to a large population of residents and that constitute an important element of the fabric of their lives. Therefore, any arrangement to be determined will have to give a fitting answer to the question of the proportionality of the violation. In certain cases, such as the case of the evacuees from the Gaza Strip, suitable compensation arrangements may provide a solution to this problem. The situation regarding the Arab residents of east Jerusalem will require more complicated arrangements, such as an arrangement for relocation and the continued bestowal of at least some of the social rights, since a violation is entailed here that not only concerns the loss of property or relocation, but also the full array of rights whose continuation is placed in doubt by a separation from these neighborhoods. The basic premise is that those residents who are interested in doing so will be able to relocate within Israel before the separation, since this is a fundamental right of every permanent resident. An additional chapter by Moshe Hirsh and Ruth Lapidot discusses the fate of the social rights when there is a transfer of territory or an exchange of territories, along with options concerning residency-based social rights and benefits. This discussion, which the authors characterize as an inquiry that is still at an intermediate stage, raises some possibilities for “compensation” of the residents whose rights would be violated by the transfer of the territory. One possibility is to create a link between the length of time for which the residents were entitled to the various benefits and the extent of the benefits in the future. Another is to link the extent of the future rights and the length of time for which the residents made mandatory payments connected with the relevant right. A further possibility is to convert future payments and other rights to one-time payments; or, to transfer the obligation to provide social rights and medical treatment to a different institution. The cost of “compensation” of this kind was not considered, however. 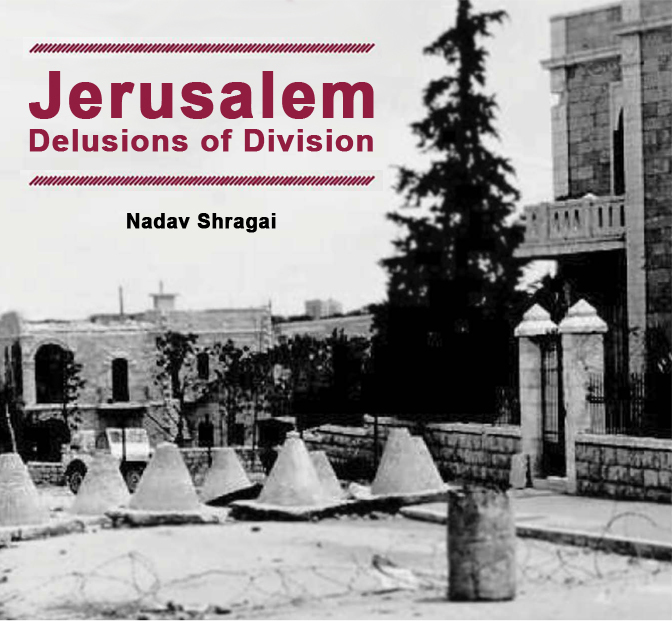 According to the assessments of the legal scholars Sabel and Noam, Israel would be able to “separate” from east Jerusalem neighborhoods if it were done by agreement and not unilaterally. In such a case the east Jerusalem residents would have to be compensated for the full array of rights that they would lose. The separation could not prevent the east Jerusalem residents from fulfilling the right they possessed as residents before the separation to relocate to west Jerusalem or to any other location in the state of Israel should they wish to do so. The late British historian Sir Martin Gilbert once remarked that Jerusalem is regarded as a microcosm of the Jewish historical rights to the Land of Israel. Israel not only based these rights in Jerusalem on religious and historical connections but also on an act of legislation and an explicit legal doctrine. Immediately after the Six-Day War, the Knesset passed the Law and Administration Ordinance (Amendment No. 11) (5727-1967). The law stipulated that “The law, jurisdiction and administration of the State shall extend to any area of Eretz Israel designated by the Government by order.” On June 27 an order was published that extended the state of Israel’s law, jurisdiction, and administration to united Jerusalem including the eastern part of the city. Whoever seeks today to turn back the clock, divide Jerusalem, and unravel those measures of unification, on the legal level as well, renounces the legal-historical basis and rights on which the act of unification in 1967 was grounded. Not only, therefore, must the legal feasibility of a division be weighed by the decision-makers and the public, but also the legal rights of Israel to Jerusalem, rights that possess their own validity. Since the days of the First Temple, Jerusalem has been the spiritual capital of the Jewish people; even when they were exiled from it, they never forsook their religious and historical connections with the city and its holy places. The name of the Jewish national movement, Zionism, which laid the practical and ideological foundations of the state of Israel, comes from Zion, another term for Jerusalem. There has been a Jewish majority in Jerusalem for over 150 years. The League of Nations, the source of international legitimacy before the United Nations was established, recognized the “historical connection of the Jewish people with Palestine” and called to establish in it “a national home for the Jewish people.” The League of Nations did not distinguish between the Jews’ rights to Jerusalem and their rights to the rest of the country. The United Nations’ proposal to internationalize Jerusalem in 1947 was no more than a recommendation. The Jews of Jerusalem were attacked in 1948, and Israel announced that the declaration of internationalization was “null and void.” David Ben-Gurion, Israel’s first prime minister, officially made Jerusalem the capital in 1950. The main claim against Israel’s legal measures in Jerusalem after the Six-Day War was that east Jerusalem was an occupied territory and hence, according to international law, could not be annexed without agreement.4 Major scholars of international law have already addressed this point. Prof. Elihu Lauterpacht (who served as legal adviser to the government of Australia and as a member of the International Court of Justice in The Hague), Prof. Yehuda Blum (a former Israeli ambassador to the United Nations), and Prof. Stephen Schwebel (a former legal adviser to the U.S. State Department and president of the International Court of Justice in The Hague) have all noted that the 1967 borders were neither established borders nor an international border but merely armistice lines that were designated in 1949. According to this legal view, with the end of the British Mandate for the Land of Israel an absence of sovereignty emerged, which could be filled only in a legal action. Jordan did not acquire a legal right to the eastern part of the city because in 1948 it conquered it in an act of aggression and in contravention of the rules of international law. The armistice lines that were set between Jordan and Israel in 1949 were not intended to be final borders. Jordan’s annexation of east Jerusalem in 1950 was done, therefore, in violation of the rules of international law and lacked any validity. In light of the fact that Jordan’s invasion of the West Bank and Jerusalem 19 years earlier was illegal and it had no rights there, Israel did not violate Jordanian sovereignty over the territories it conquered in the Six-Day War. “No legal right shall spring from a wrong,” Schwebel observed.7 Jordan’s sovereignty over the West Bank and Jerusalem was not recognized except by Pakistan and Britain. Unlike Jordan, Israel seized east Jerusalem in a legal act of self-defense in wartime. In the course of the Six-Day War, Jordan shelled west Jerusalem. It did not heed Israel’s appeals to hold fire. Israel was attacked, and in response it realized its right of self-defense and launched a defensive war. Israel did not, therefore, conquer territories as an act of aggression. Does the fact that Israeli governments (specifically the Barak government and the Olmert government) have already negotiated over the division of Jerusalem affect Israel’s legal rights to Jerusalem and perhaps also the legal feasibility of a division? Dore Gold, formerly Israel’s ambassador to the United Nations and currently director-general of its Foreign Ministry, has clarified that even though talks on dividing Jerusalem have already been conducted, and it is often claimed that “Everyone knows what a final settlement will look like,” Israel is not under any obligation to divide Jerusalem. 1 On December 4, 2014, Dr. Sabel confirmed to me that his conclusions remain valid today and that there is no change in the legal analysis he provided to the Jerusalem Institute before the Annapolis Conference. 2 The remarks on this topic are based on the following sources: Dore Gold, “Zchuta Hachokit shel Yisrael al Yerushalayim” (Israel’s Legal Right to Jerusalem), in Zchuyoteiha shel Yisrael c’Medinat Haleum shel Ha’am Hayehudi (Israel’s Rights as the Nation-State of the Jewish People) (Jerusalem: Jerusalem Center for Public Affairs, 2012); Shmuel Berkovitz, Ma Nora Hamakom Hazeh (How Awesome Is This Place) (Jerusalem: Carta, 2006), 57-58; Dore Gold, Hamaarcha Hadiplomatit al Yerushalayim (The Diplomatic Battle over Jerusalem) (Tel Aviv: Yediot Sefarim, 2008), 5-6, 56; Haim Cohn, “Maamada shel Yerushalayim Bamishpat shel Medinat Yisrael” (The Status of Jerusalem in Israeli Law), in Ora Ahimeir and Bar-Siman-Tov, 40 Shana b’Yerushalayim; Ruth Lapidot, “Yerushalayim Birat Yisrael” (Jerusalem, Capital of Israel), in Yitzhak Zamir, ed., series on Pirush l’Chokei Hayesod (Interpretation of the Basic Laws), Faculty of Law, Hebrew University of Jerusalem, 1999; “Maamada Hamishpati shel Yerushalayim Bamishpat Habenleumi” (Jerusalem’s Legal Status in International Law), in Amnon Ramon, ed., Ir b’Sabach: Leksikon Yerushalayim bat Zmaneinu (City in an Imbroglio: A Lexicon of Contemporary Jerusalem) (Jerusalem: Jerusalem Institute for Israel Studies, 2003); Ruth Lapidot, Yerushalayim: Hebetim Mishpati’im (Jerusalem: Legal Aspects) (Jerusalem: Jerusalem Institute for Israel Studies, 1997). 3 The full text (Hebrew) is in State of Israel, SeferHachokim (The Book of Laws), no. 980, August 5, 1980, 186. 4 For a summation of the arguments, see Ramon, Ir b’Sabach, 211-212. 6 Gold, “Zchuta Hachokit,” 88. 8 CNN Late Edition, February 11, 2001. 9 Gold, “Zchuta Hachokit,” 93-94.